Union Light is the largest comprehensive developer of lighting equipment in Korea, with products such as emergency lighting and 40-plus types of rechargeable lighting. 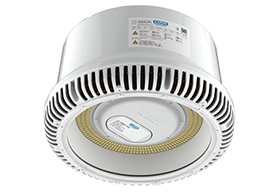 The company’s emergency downlight(ULD-60) has an LED lamp, which has a high color rendering index, allowing people to quickly fi nd the evacuation route in case of a fire due to disaster. Compared to existing lightings, it boasts great energy efficiency and has 40 times longer product life – leading to electricity cost-reduction of 30%. In addition, it emits less UV rays and infrared rays. This eco-friendly emergency lighting is free of toxic substances and prevents insects from getting inside. With the patented thermal radiation technology, the generation of heat is minimized. It does not require warm-up, and the instant-on lighting protects vision. 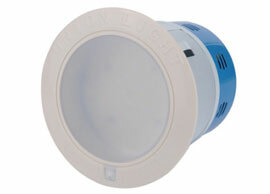 The all-in-one LED Down Light can be easily installed on a low ceiling and also in a small space. It is economical with low installation cost. Normally, it is used as a general lighting, and in the event of a power failure or emergency, it immediately converts into emergency lighting and stays on for up to 2 hours. It is easy to install as the top part consists of an all-in-one emergency lighting circuit. It reduces anxiety during a blackout caused by a fi re as its luminous intensity is 90% of that of general lighting. The charging circuit prevents overcharge and overdischarge to maintain the best condition for the batt ery. Filed Under: KOTRA Tagged With: Emergency downlight, LED Lamp, lighting equipment, Union Light Co. Ltd.
[INQ. NO. 1410E18] LED converters developed and manufactured by KBTech are LED module control through constant voltage and current to maximize the lifespan of the LED. Also, the LED converter by KBTech provides a high power factor of over C 0.90 for all models. Moreover, the converter can be customized according to the client’s requirements. The LED converter has stable protection circuit function, including the short output protection circuit and open output protection circuit. Also, the product has excellent efficiency of over 87%, and top-quality components are used for the product to guarantee product excellence and long lifetime. Various models are supplied for the LED converter, including the SPK series, WPK series, JPK series, SPG series and many others. KBTech was established in 2001 and specializes in the development and manufacture of LED converters and modules. For over 10 years, the company accumulated know-how and experience by manufacturing over 20 million units of electronic ballasts. Currently, KBTech is the leading manufacturer of ballast and drivers for fluorescent and LED lamps. Through the affiliated R&D Center, KBTech is continuing the efforts to develop more efficient and long-lasting LED products for the market. [INQ. NO. 1410E11] As a specialized maker of LED lighting products, Anylux always tries to find a key to maximize usability and satisfy the users’ convenience through endless R&D of unique, special design for ANX LED module and LED lamp for signage, outdoor advertising lights. The company’s ANX LED modules are used for direct and indirect lighting, interior lighting, backlight for indoor & outdoor signage, light box. And also, it can be applied for weddings, gardening, Christmas and other ceremonies with ANX cover lens which only for Anylux LED modules. Anylux has also showed its strength in manufacturing LED lamps. The LED lamp from the company is the only one released according to the worldclass level of waterproofing with IP68. So, there is no problem if it is operated underwater. The strong waterproof on LED lamp is only from Anylux. It can be applied to the back of billboards & bigger sign box or flex sign box as a backlight. It succeeds in being eco-friendly and saving electricity. 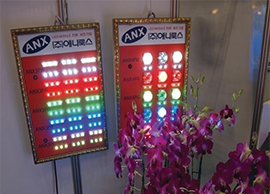 Anylux, moreover, does its utmost to provide reasonable prices and the highest quality with ANX LED modules, LED lamp and others via systematic process of manufacture and the strict inspection of all steps from purchasing raw-material to packing are being carried out on a daily basis for its valued clients worldwide. Since its foundation in 1962, Namyung Lighting has been growing into one of the leading lighting manufacturers in the world. 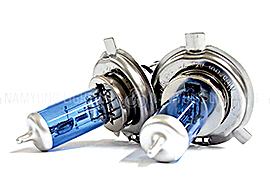 Automotive HID lights & Halogen & Household lamps & LED lamps are its production mainstream. Now the company dominates the after-sales service market both domestically and abroad and supplies its items to big local auto makers. This maker has been exporting lamps to overseas markets with its own brand “EAGLED” while continuously winning high popularity among its clients for its premium quality products. The consistent reliability of the brand is based on some prominent features differentiating it from other models worldwide. The impressive features include minimizing eye-dazzling, emitting the most accurate and natural light, use of compact designed 7W LED bulbs to save 70% energy less than fluorescent lamp, cost-effectiveness for electricity, utilizing the HI-power white LEDs (uniquely developed in cooperation with Samsung Electro-Mechanics), suitable for 110V or 220V standard household sockets (allowing for simple screw-in replacements), most environmentally friendly lighting source (free of Mercury & Lead), and “CE” “UL” “PSE” mark approved. This brand is also actively exported to more than 40 nations including the U.S., EU, Japan, Russia, the Middle East, etc. while succeeding in acquiring steady high recognition from there for exceptional quality with competitive prices over similar kinds of products from foreign makers. Filed Under: KOTRA Tagged With: Halogen lamp, HID lights, Household lamps, LED Lamp, Namyung Lighting Co. Ltd. 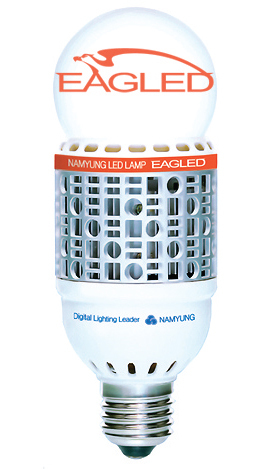 Since its founding in 1962, Namyung Lighting has grown into one of the leading lighting manufacturers in the world. Automotive HID lights & Halogen & House hold lamps & LED lamp are its production mainstream. Now the company dominates the after-sales service market both domestic and overseas and supplies its items to big local auto makers. Namyung Lighting has “E1” & “DOT” marks approved by TUV Germany & ETL U.S. in all standard (55W) wattage’s clear and coated (Blue/Gold/Super White) bulbs. Namyung Lighting has been supplying the Korean car makers, Hyundai and KIA motors, as well as Bosch and Wurth group companies all over the world, IPF and AUTOBACS Japanese chain store. Major brands of this company are largely exported to more than 40 nations including the U.S.A, EU, Japan, Russia, the Middle East, etc. gaining high popularity for their exceptional quality with competitive prices over those of foreign makers. Filed Under: KOTRA Tagged With: Automotive HID lights, Halogen Bulbs, House hold lamps, LED Lamp, Namyung Lighting Co. Ltd. Established in 2010, ICEPIPE is the world’s first company to incorporate ICEPIPE HEATSINK and to develop high-efficiency, high power, and lightweight LED lamps. Especially, high power LED lamps of over 700W are noted for their global competitiveness in terms of performance, reasonable prices. And efforts are being stepped up for the release of higher performance next-generation LED products that will be strong players in leading global markets. With the patented radiant heat system, ICEPIPE manufactures high-efficiency, lightweight LED lamps. The system can significantly lower the temperature of LED chips, compared to that of general LED lamps, so it ensures over 10 years of lifespan. And they have superior price-competiveness as they require small amounts of raw materials. Currently, two representative models – CH2000, CT2000 – are the most eye-catching. For the former, especially protection circuit, an automatic power shutdown and returning circuit (incorporating a sensor switch that turns off power in case of a fire, abnormal high temperature, overcurrent or overvoltage) is added. That prevents secondary fire and self-damage to the product. CH2000 has ingress protection rating IP67 and its copper based heat sink makes it strong against corrosion. CH2000 delivers an ultra-slim and light weight design with a long lifespan thanks to the innovative cooling technology. The latter is also highly impressive. The applied ICEPIPE HEATSINK technology significantly reduced the weight of the model, and thus resulting in smarter and realization of safe installation. The 360’ rotable feature allows itself flexibility in the usage of various places. The company’s DAYSTAR LED fluorescent lamp (600mm, 1200mm) is an environmentally friendly lamp containing no mercury, lead and cadmium, as well as radiating no ultra-violet rays. Not only is it compatible with traditional fluorescent lamps, but also saves about 30% of electric energy and boasts longer lifespan. DAYSTAR LED panel lamp (600x600mm, 1200x300mm), which is also highly environment-friendly, features lower energy consumption, higher photo efficiency and longer lifespan than traditional non-LED lamps. Already installed at more than 20 cities in Korea, DAYSTAR adapts one of most efficient LED circuits, realizing the best price competitiveness in the world. In addition to various LED lamps, the company also produces LED converters, LCD backlight inverters, and many customized products meeting customers’ requirements. If you want more information about ‘DS.CO’, please contact us. LED (Light Emitting Diode) is a big leap in the industry. This semiconductor light source is now quickly replacing many traditional light bulbs, street lamps, computer monitors’ panel, etc. Its high brightness, a relatively long life span and luminous efficiency are main advantages. People can run into its applications everywhere: traffic signals, LED panel monitors, many types of digital displays, advertisings, etc. And Korea’s LED specialist ROMTECH has a good story to tell. Registered first in 1998, ROMTECH has been engaging in manufacturing LED lights, RF products, and home network alliances. The LED light maker has built strong relationships with diverse associates at home and overseas for better quality and management. Also by basing its products on “Green technology” for our environment, ROM TECH with creativity and innovation is looking to change the market paradigm for nature, people, and future. Major items are indoor LED lights, outdoor LED lights, RF Smart Door-Lock, and etc. ROMTECH’s lineup has two big categories: Indoor LED lighting and Outdoor LED lighting. A item like LED Mushroom lamps as a mushroom-type lighting fixture with its modern design has excellent lightness, and it can replace common incandescent bulbs with 30 / 60/ 100W. LED Bulb can greatly save power consumption by over 90% and has a dimming function, a long lifespan, and is high efficient and eco-friendly. Being free from ultraviolet rays, infrared light and electromagnetic waves, LED MR16 offers high quality lighting and can save up to 80% compared to halogen lamps. For outdoor LED lighting, LED Parking Light is a good substitute for linear type fluorescent bulbs and can maintain luminance at low temperatures. Even flickering would not even affect its life span ranging 30,000 to 50,000. Looking slim and compact, ROMTECH’s LED Road Light has Instant flickering function and is free of harmful chemicals like mercury and cadmium. For more product information, you can find at rfledlighting.com/index.html. If you want more information about ‘LED lights, RF products’, please contact us.